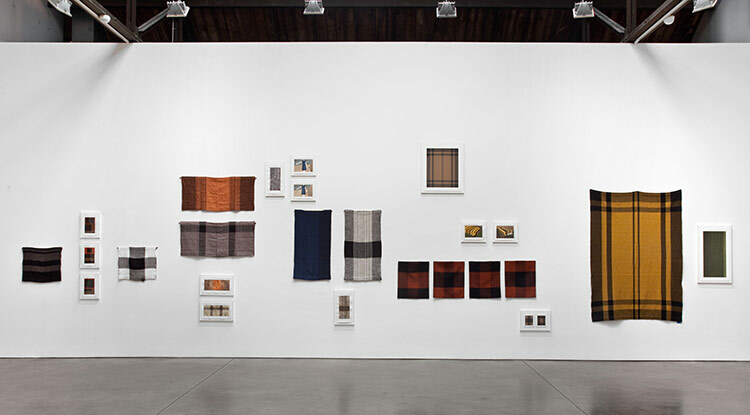 Andrea Zittel’s tenth solo show, Fluid Panel State, at the Andrea Rosen Gallery, her expands on her previous ideas that our culture is fixated on assigning order to a chaotic world by defining the personal and social significance of objects and by creating a distinction between everyday objects and art. 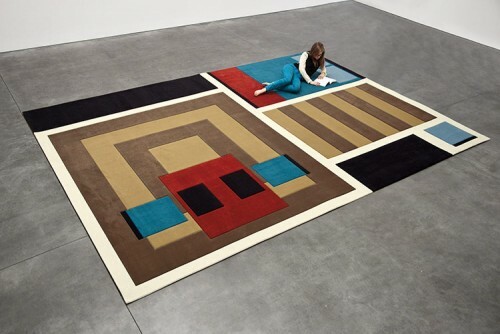 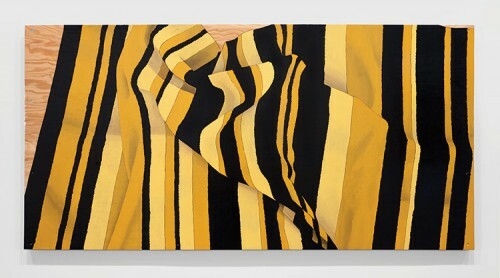 Zittel demonstrates through a panel, a nebulous form, how an object can exceed functional properties, such as shelter or clothing, to convert into an art object, such as a tapestry or a painting. 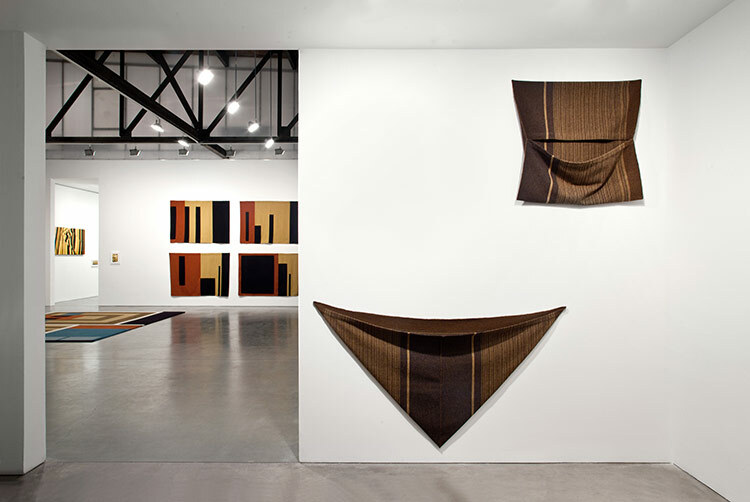 The gallery is compiled mostly of handmade textiles, designed by Zittel, but also includes large enamel paintings, smaller framed paintings on paper, and a large carpet placed in the center of the installation. A PowerPoint presentation further discusses the properties of the fluid panel state expanding on the importance positioning has in attributing meaning to a flat panel. 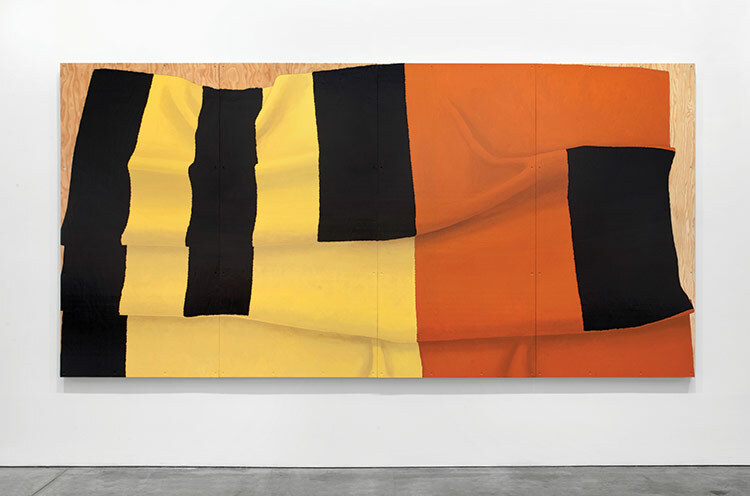 Ultimately the exhibit leaves viewers to decide if they are experiencing art or object.